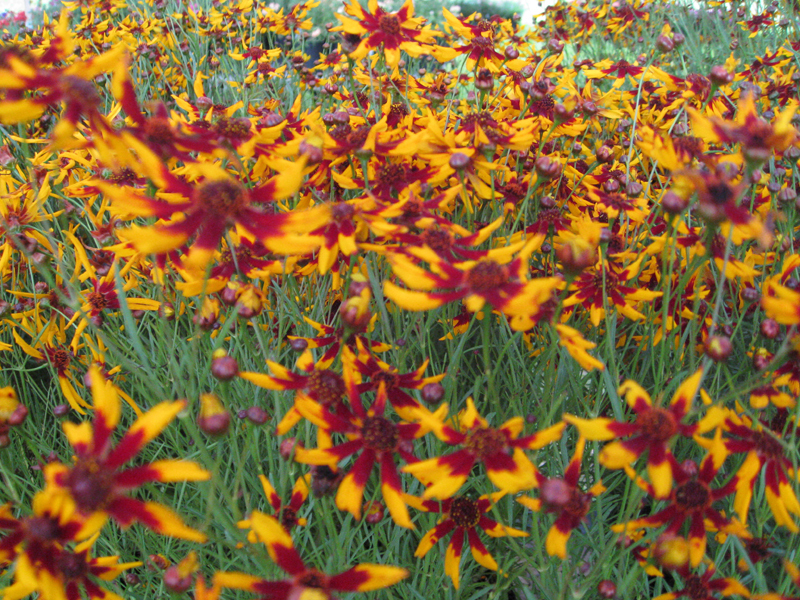 Comments: Coreopsis are tolerant of serious insect and disease pest however, they will not tolerate wet feet. Flower color is light orange on the apex of the petals and a burgundy red at the base. Their most outstamdomg display of color is in late spring and summer. Should be given strong consideration for native garden sites. The foliage of this selection is more narrow than other selections.